"Best project management tool and more"
"Best Project Management Tool for anyone anywhere." It's super easy to use, very customizable, modern and user-friendly. One of the greatest thing Clickup has going for them... is that you can fully test drive this before you subscribe... for as long as you need. Clickup makes project management easy and fun to do... who really enjoys project management? I do with Clickup! There is nothing I truly dislike about this software. There are a few things I wish Clickup did at the time of this review, and when I contacted them about them, they said there were already working on it. Go ahead and try, you can do more in your free account with Clickup than you can with Asana or Trello. I am using Click up 2 separate areas of my life. In one area, I use it as a Freelance Graphic/Web Designer and photographer and in another, I use it with my church. We plan anything from events to teaching series and design. It helps plan and gets things done timely. "Project management made easy with ClickUp"
We use ClickUp to manage our projects that are done for abroad clients. In this tool it is easy to add clients and to add our tasks so that it can be done effectively and wisely by each developers. The tasks can then be assigned to each testers for QA purpose. ClickUp made it easy to manage the whole project and our project manager is really easy by using it. Task creation, priority listing and instant notification is a great feature and we are all impressed with it. The main problem is with the mobile app, although email will be send when we assign tasks to someone else, the app have issues sending push notification. It works only some times. Kindly have a look at this issue. Please test your mobile app especially android so that the push notification really gets in time. We currently maintains all our offshore projects on ClickUp and its really easy to add more clients and get their feedback. Really a great tool to maintain healthy client feedback. Also ClickUp helps us to organize our tasks in a meaningful manner and to make the best out of it. It is really a great tool and being a premium customer gives us all the full features that they offer. "Best PM tool in the market right now"
- Subtasks are really tasks nested inside parent tasks. So they carry all the functionality. I have researched lots of PM tools and the consistency of ClickUp was a killer. There is still lots of things to improve, but the company is on the right track. ClickUp is helping my business to drive more organized work, produce more and, we are being able to visualize what was done quite well and fast. Check it, download it, play with it, create some spaces and tasks and see how profitable it is not only for you, but mainly for your group/company. Project management for me, but also for my friends. It's easier to take care of tasks splitting and managing overall progress of work. We can create conversations in specific tasks which helps us keep everything in one place, without creating huge mess on out group chat. "Actually making us more productive!" ClickUp is so much more customisable and flexible than anything we've tried before. Each of us work in different ways, some preferring task lists, some preferring Kanban, some preferring other methods and ClickUp is the only system we've found that works for all of us. The learning curve is something that was a bit of a struggle but once you get there its easy to use. The other thing is that notifications need some work. The system works great and the iOS app does pop up messages (badge icon would be good) but more integration with OS X notifications would be great as I've missed a few things. We were looking for a way to fit all of our projects and workflows into one management tool and ClickUp is the only one we've found that does it and does it well. I think we're actually more productive and efficient as a result of using it. "Most effective Productivity and Project Management tool - Best Value for Money"
It is a very easy-to-use and intuitive productivity tool. One of its best features is that when you create a Team or Workspace it prepopulates it for you with examples so that you quickly learn how to use the software. It is great value-for-money and delivers what it promises. My only dislike is that it doesn't have a view across all your Teams, however, this does not exist in other software either. ClickUp thrives with integrations with other software, like Toggle, Slack and GitHub. It has it's own Google Chrome extensions that aim to make it easy to create and document tasks. Best of all, it makes it very easy to see everything you need to do across multiple projects. If you only have 1 or 2 projects in one company, then all software can achieve your goal the same. If you have multiple projects across multiple companies then ClickUp makes it easy to to manage them all. Task Management, Software Issue Tracking and Overall project management. "Everything you'll ever need plus something more to make it extra special"
We where using asana prior to switching to clickup. Asana is a good solution until you try out clickup. One of the major features I love about clickup is that there is a unique link for each task which can be searched and shared in other platforms like slack. Even thou that's something like an obvious feature, platforms like asana lacks that. Theirs unfurl in slack is one of the most useful and thought out features they have. Our team lives in the slack and it was a real deal changer when i saw the unfurl in their landing page. Team's task management and project management. We are mainly using clickup to handle our marketing and sales tasks since most of our development based tasks are tracked via gitlab. "Perfect task or project manager"
For me the ebst is the omplexity of the whole software, you cna customize almost everyhting what you need to fit your conditions. dark theme missing in mobile app, and also missing the possibility to customize the first and the last state of the tasks. (open,closed) for me it would be great to have posisbility also rename those two states. Try to make a test week in closed small team if this will fit in your type of work, then try to fill the clickup with taskt and start interacting with them. then you will see if is really bes tfor you. We are solving mostly IT problems or tickets. and we are using it in our team to organize it and remind it and get the job done with this software. We realized we have more work and more sidejobs in every ticket that we ever thought we have. "A Flexible and Adaptable Task Management Tool"
ClickUp is very easy to get started with and can be as simple or complex as you build it out to be. It's constantly being improved with additional features that are added per user feedback. There are a few missing connectors that would be helpful for our team such as a connection to Teams and the Outlook desktop app. Get started with the trial and make sure you check the various plugins/applications that ClickUp interacts with. We use Teams instead of Slack, so at this time it's definitely a missing feature for us. If we had slack, there would be even more functionality available. Several different departments at our company use ClickUp for short and long term task management. For example, we log and track project handoffs on our production team, we track leads for new translators with our recruiting team, and small tasks with our financial team. "Ideal Design That Should Shake The Productivity World"
I have struggled with multiple platforms, at different companies. Working from startups to big companies, and now, a nonprofit organization. I have been exposed to and attempted to use Slack, Trello, Asana, etc. and they just can't function across departments, even though that's the point. Teams were hard to keep up, no one would keep up with anything. No two organizations are alike, and all these places offered no customization and solved everything with ridiculous pricing. ClickUp changed that. They give you enough to breathe, they let you take control, they let you make it seem like this software was built specifically for you and your team - it's incredible, really. Absolutely nothing. Even the nit-picks you may bring up, their customer success team is ON IT ASAP. They refuse to let you be disappointed! If you need software that works for your team and your type of projects - ClickUp will work for you, not the other way around. Across teams and departments, we had trouble communicating projects, tasks, assignments, progress, all of it. We find it so easy now on ClickUp. We realize attaching documents to projects, and communicating on there quickly is so nice too. "The most feature rich PM system with an affordable price"
Every feature I can think of comes straight out of the box. If there isn't a feature available, their feedback forum and support team is so good, I am not worried that my input is going to be lost. It's very feature rich but can be very laggy. The large feature list is also slightly incongruent in user flow sometimes due to the amount of variations that you can use the software. If you want to have a product where you feel like the team has your back, Clickup is the way to go. Not only is their support staff just world class, they make your feedback heard, and they are constantly pushing out new *useful* updates in their changelog, not just "bug fixes". It makes you know you're getting way more than your money's worth. They promise just right and over deliver. I needed to keep my clients separate but organized, and at the same time, be able to view all of my tasks at hand based on filters and sorting. ClickUp allows this. It also has an amazing chrome extension that can capture an email so that emails coming in from clients can automatically be turned into a task but with full context. "This is the best "
I used Asana during the past year, but when I tried ClickUp — I definitely can tell that ClickUp is a leader. ClickUP have some ClickApps, and this is fantastic - this includes a free time tracker, Time Estimates, Custom Fields and a lot of add-ons to your ClickUP for free! I got a huge amount of features for an adequate price. ClickUp has a wonderful interface, everything is in place, everything is simple, everything is very fast and smooth. Another pleased Kanban view, just in one click and you can transform your list view to kanban board! You can work as want. And if you don’t like Kanban, just click Time and you’ll see a calendar view. So, I think this is the best solution for this purposes, at least I have not found anything better for myself and for my company. Definitely recommended to everyone and every company. I am very satisfied. Liked everything! But I would be glad to Russian interface. A file size of 100MB may be small when you need to add a PSD file to the task. 250MB like a Trello would be enough. But It's okay. Don't wait! Just try it. Now it is our main project management system within the company. "Best Project Management Tool Out There"
-Packed with features and options; advanced features are called "ClickApps" and can be turned on/off by an admin, depending on the team's needs. -Very helpful notifications options, which is missing from Asana, Trello, etc. There is certainly a learning curve to figuring out how best to fit their many levels of hierarchy that groups of tasks can follow: ClickUp offers spaces, projects, project lists, tasks, sub-tasks, checklists, and "checked lists" (an alternative to bullet points within a description box), as well as tags and the newly-introduced goals. Excellent for organizing projects and monitoring progress with minimal effort. What I like most about Clickup is that it is easy to use, onboarding was qucik and the look and feel of it is fantastic. The customisation is great and I love the light and dark mode. I like the ability to track time it takes to complete a task and even adding the estimated time it would take to complete a task. Love having the ability to see all the workflow of the whole team. There isn't much I dislike about the product. I suppose there could be a little more in the way of customisation to the statuses etc. However on the whole its actually pretty good. If you have another product in use and are switching, take it easy, go slow and don't bit of more than you can chew. In saying that however, ClickUp is SUPER easy to use if you have already used something similar. Clickup enables me to manage my time effectively and complete tasks effciently. Being able to add tasks to on the fly so as to minimise disruption and then priorotise them so as not to interupt the flow of work. I can make it look mostly the way I want it too. Its also solving a cost issue to with alot of the other software out there costing more or even the same but with less value, less ability to do what I want to do. "I call of the search :)"
It has such a logical structure. I could organize my tasks in the way I needed, and I get the overviews in the way that suits each case. The configurability meets and exceeds my expectations. I use the free version and I'm very thankful that I'm not bothered either by ads or by ad mails. I also like very much, that there is a mobile version and so I can keep track of my tasks even when I'm on the way. Also knowing that when things grow ClickUp will still be able to cover my needs keeps me reassured I have the right product in hand. Honestly I'm so fine with ClickUp after I have testet so many other ways to organize my staff, that I can't think of one thing to dislike about it. I'm currently starting a new business and at the same time running it. It's a short time rental business. I'm not only renting out my own apartments but I'm also trying to grow by running apartments of partners. So it is like running three businesses. And then of course I also have all those little private projects, which also need to be organized in the same Calendar. So breaking big things into smaller, but also being able to include little things that come up and still keep the structure is a big issue for me. "First Project Management App I've Found That Includes EVERYTHING"
This is the first project management / productivity app which I've used that includes everything I want. I've used just about every tool/app out there (Asana, Trello, Meistertask, Teamwork, Jira, Monday.com, Airtable, Workfront, Dapulse, Hive) and none of them are as comprehensive and flexible as Clickup is like with the options they give to be able to switch between lists, boards, calendar, tags, statuses, assignee views (I could go on) and the organizational structure of Clickup makes everything really easy to visualize. Also being able to connect it with Gmail and save emails as tasks or attachments in Clickup. The mobile app is among the best I've come across too. ClickUp also does a really good job about making it easy to access your projects and notes from wherever you are (desktop, mobile, and web browser) and take action right then and there. The only downside that I've seen so far is that there are so many features and options to laying out projects that it can be a little overwhelming at times, especially when you're trying to get your whole team set up and using it. Having a defined organization system is an easy fix for that. Being able to stay current on all projects and related tasks and getting ahead on things where ever possible. "Easy, breezy project management with an awesome interface"
ClickUp is super easy to set up, very much customizable and I just love that views can be adjusted according to what a client is used, if they've been using a different platform. My favorite part is that all of the best features are on the free plan. But the absolute best part is that when I decided to upgrade, I didn't have to pay for team members that don't exist! I've used other platforms for the same thing, but I was so impressed by ClickUp's ease of use and setup that I immediately recorded and shared a walk-through for my audience, some of whom set up their own accounts after. The interface is very refreshing as well; not as clunky as some other project management software and apps. I keep mine on what I call "Batman" mode. That I just can't think my items into my lists, although that level of technology scares me. It's simple enough for the non-techie, but powerful enough for a solopreneur to get things done and keep track of them efficiently. Be prepared to have your mind blown by how something so simple can be so powerful. ClickUp makes it easy for me to plan and manage projects, plus communicate easily with clients. Better organization is good for all! "Loving The Software (switched over from Asana and never looked back)"
ClickUp although took a little getting used to, as it is somewhat more involved when compared to our previous system once up and running it became an invaluable solution.Basic things like assigning a task to multiple people, the ease of using mentions in comments, ability to create a comment as a task and assign it to another team member are simply invaluable tools now. The concept of Spaces / Projects / Lists was a little overwhelming at first, but now we love it. Each space can be customised to a department with each having it's own task schedules, task states, etc. The saves filers are fantastic and allow each use to build up their filter library to quickly get to relevant tasks. A number of new features like Gannt have recently been added, but we have not had a chance to look at them, but they look really good. Finally the release cycle is fast, there are always new features being added (nearly on the weekly basis) and the added features aren't just anything, they are actually relevant and useful. The interface could do with a bit more work. There is a lot of unused real estate on the page when for example we are viewing tasks across All Spaces, we get spaces and lists appearing on the page that do not have any tasks. Live page updates. When we create a task on the mobile, the page need to be refreshed in order for that task to be visible on the desktop. Would be nice if the relevant space when open on the desktop and someone add a task to it, would automatically update notifying the user that hey there is another task that's been pushed into this space by someone else. Maybe a new task should appear highlighted for a few seconds and then the highlight disappears. Give it a try, and do not get too overwhelmed after the initial login when you see Spaces, Lists, Projects. Watch their video which talks about these features (although not the shortest of things), but worth watching. Also don't try to create complex Spaces with different task states from the word go. Start with simple Open / Close and just a few of their plugins and if that works start building up the complexity from there. Task management has been a breeze, and now there is more communication on tasks and more relevant information being added to tasks across all departments. Before with Asana we were basically assigning tasks and then the just closing them. Now tasks take on a life of themselves, all relevant work and documents are attached to the task as people are working on it. Especially useful when you can assign a task to multiple people. We are in the process of investigating moving project management from Jira to ClickUP, but I think this one may still take a bit of time given Jira's supremacy. "ClickUp - THE BEST Project / List Management software out there....BY FAR!" Pros: Everything. The ClickUp team is amazing. I have used just about every project/list management software in the market, and ClickUp blows them away. - The Amazing UI is fantastic to work with. The User Experience is second to none. This company "gets it". Every time I think of "they should have x feature"....it is already there and implemented is an incredible way. The price is too low in my opinion for what they offer (ClickUp - don't raise the price because of this)...just stating that you get an amazing product, incredible support and a stream of new features for a fraction of what the competition charges. Too many Pros to list...you just have to experience for yourself. Believe me, you will not be disappointed. They even have integration with Alexa to add a task. It is absolutely Amazing! Cons: I cannot think of anything. I would have written that it needed better user rights and privileges, but they added that in one of their latest releases. Beautiful software with great functionality at a ridiculously low price....what is not to love. Increased efficiencies and department communication. "Such a robust project management tool — for free!" I love ClickUp! I did a TON of research on different project management platforms and tried them all out. ClickUp was by far the best. I then had to convince my team to switch over from our previous tool and they all love ClickUp. Even my team member who thought Trello was the best system has been convinced. It's a really nice tool and has helped my team to be more efficient and organized with all the various projects we have. My company used to use Gmail which integrated great with ClickUp, but we recently had to switch to Office 365 and it's not as seamless. There is still a workaround using the email features within click up (copying the address to send to the list and/or task) which is nice, but it's just not as quick as the button we had in Gmail. I also wish the paid versions weren't per person. But that's pretty standard on most project management platforms. Just do it! It's great. It has helped us to keep our projects all in one place as well as create an archive of past projects. We even found a way to create a CRM within ClickUp which was a nice surprise. I like that I can use ClickUp for many different jobs. I have a training space, a business development space and I have a projects space. Each space contained folders with all the info I need for that space and fro the projects and tasks related to the space. The team is incredible at adding new features on a weekly basis. The lack of notes at the space level and at project level. Notes would be useful as they would stick during a project differently from tasks. There is a workaround. Lists of tasks are really like folders and allow for notes and files. So that is whatI am using now. Since it is such a flexible tool at first it may scare new users as it takes some time to figure how to organize it best for one’s own needs. I took a decent amount of effort to succeed. But once i did I felt it was suited precisely for me and most of my needs. So check use cases and follow the tutorial docs as it will be very useful to figure how to set it up. I organize my priorities, my deadlines, my trainings and I am sharing all this with my small team of collaborators. I am also able to monitor my goals and achievements. All in one tool. I am using another tool just notes and one for accounting. "It is so flexible that you can practice Tony Robins RPM with it amazingly"
Spaces as departments.The vies to be able to see calendar, List or board option are awesome. The only app i tried, what is able to give tasks a real time 12.00 -13.00 for example. They are implementing new gadgets all the time with cool actualizations. Some people say it is a little slow perhaps it could be alittle faster although i cannot say that it is raly an issue. "Great if you are looking for simplicity and customization"
What I enjoy the most of ClickUp is the ability to work the way I like. They could not make the switch from board to list to time simpler. With one click it changes the perspective to suit your favorite way of working. My department is very new and covers a lot of different activities, so what was important for us was the ability to set custom statuses to follow all current projects. Nothing much to say except that at the start I would have liked to have a way to create a simple task without linking to a project. I found a way around by creating a list for that and now that I'm used to it, it's fine for me. As a new team of three members instead of only one at first, we needed a tool to manage all tasks we have to deal with, plus we all three have different way to work. ClickUp hence was the best answer. It helped us to stay organized, to set objectives and to split work between us while keeping track of the projects progression. ClickUp offers a really rounded product that addresses many if not all of the tiny little things that are missing from almost all of the alternatives. Whilst these are "little things" they make a huge difference to how well an individual or organisation can actually work on a day to day basis. The service is also fully useable as a FREE version, and this is far superior to any other free tool that I've ever used. The random pricing, approach to getting new clients. It means that different people are paying different pricing rates for use of the service. On the other hand it's good that they are willing to negotiate on pricing since not everyone can afford the same fees. As a small digital design agency we need an effective task management tool that actually makes task management a simple activity that gives us clear guides and structure to how we go about ensuring we deliver projects on time. We've tried several tools of either one-time purchase or free and none of these have fully provided what we needed. Unfortunately, we aren't currently in a position wherby we felt it a good investment to pay the high service fees of other similar service providers. Fortunately we found ClickUp and it has proven to do the job we need in all aspects. The free plan is great, and we plan to upgrade to a paid plan shortly. At the current market beating low monthly/annual fees, the paid option is affordable and will be worth the investment. "Great tool for team collaboration and tasks management"
Click up is highly customisable, which allows me to adjust the view according to my team needs. The interface is very contextual and intuitive. Despite the high complexity of the tool and the variety of options it gives, it is easy to use from the very first time. I like the ability to filter, the micro interactions, the tone of voice and it is clear that the product designers of this tool were thinking out of the box when creating it. Some times the UI is disorientating - the transition after creating a new task, for example, confuses and takes me out of the context. The distinction between the different projects is too subtle, which occasionally makes it hard to find myself around the tool. Bottom line - the tool is very complex and the UI could do a better job in focusing the user, help to make the right decision or simply browse through the lists. "The New and Rising Star in Project and Task Management"
The best thing about ClickUp is its feature rich suite of functions and apps. So far, whatever I have needed to organize and set up for a project or personal task list, ClickUp has risen to the challenge. Its flexibility has been a welcome feature, as my work is not in any typical industry that uses project management and I have had to adapt my workflow to the functionality of other apps. With ClickUp, I feel like it has responded to my demands instead of the other way around. It has been great to use! And most of the functionality is free! You can't beat it. The interface is a bit slow to load at times (though this could also be a matter of currently residing in a LMIC with poor infrastructure). It also seems to lag behind other applications for quick task creation. It usually takes me 1-2 min to enter a task into a list from the mobile application and this was not the case for other apps I have used. The functionality is so robust that I deal with it, but it would be nice to just get info into the application quicker and easier. Offline use would be great too. I would recommend ClickUp to anyone who is serious about task and project management. Even if you are looking for a simple task manager without all the bells and whistles, ClickUp shines in this area as well. The added bonus is the ability to get more granular and specific with your tasks and expand them into full fledged projects if need be. Additionally, if you are searching for a project manager, after testing many throughout my time working in various NGO and health organizations, I have landed here. Others may have special functionality that sets them apart and are right for certain businesses, but ClickUp has been the best I have used overall. I am using ClickUp mainly for the purpose of tracking a developing research project in coordination with several stakeholders around the country. The ability to easily add people to tasks, have conversations about things that relate to one specific task (reminds me of Trello), create dependencies so that people can see that they are holding up other work, etc. has all been great for managing a project with multiple teams involved. The fact that the interface has multiple views and can act as a simple task manager without getting into the weeds with project management functions that many people simply dont need to just get things done, allows for users to be onboarded without a steep learning curve and to use the application without feeling like they are wasting functionality and therefore paying for things they dont need/use. The application is flexible, which is my favorite part. With idiosyncratic workflows and various media that is important to my research, I am limited more by my own thought processes about how to organize and manage the work in the app than I am by the app itself. "A great alternative to any PM tool you've worked with in the past"
I like the different views you have on the same project. You can go from the timeline view (Gantt is available on the paid plans) to the board and list thus making it easy to onboard any colleagues used with any one of the systems. You can set up any type of custom workflow you have and change it just as well. 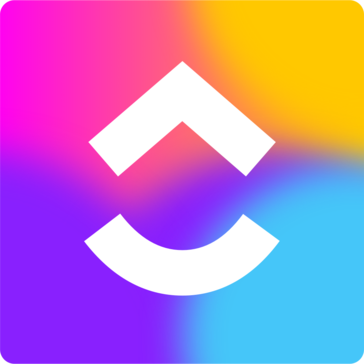 Many other things improve the experience working in Clickup but the best part they're actively building a features roadmap based on user feedback. Gantt views are only available on the paid plan but considering the incredible value on the free one I'm not really unhappy about it. In fact Gantts were requested by the community and they moved pretty fast to launch a 1.0 version. All in all, no real dislikes. We're a small team that works with people from many different other teams. Having our entire work mapped in an easy to understand view of what work needs to be done and for whom is really the main benefit. Because Clickup is really good, we've been able to start onboarding more and more people from different teams. So this switches from imposing a tool to attracting them to our space. "Why do people use anything else. Seriously, though. " I love how flexible the program is -- you can set up boards and teams with completely different functions within the same program, and keep track of what you need to know. It's great to replace clint-side emailing and file sharing, while also facilitating collaboration. Great for teams of contractors. Did i mention you can make your own color palette and statuses, on either the project or space level? Printing anything is a pain -- if you need to regularly print to do lists, Click Up makes that a little more cumbersome that it should be. Definitely try their free version and see if it works for you --- the most important step will be figuring out how to use the statuses for your specific use-case. I personally set up my own to be like a pipeline (similar to HoneyBook or other process-based client services). If you have more than one project at once, it really helps keep everything in place. It's simple enough to train clients or contractors to use, and integrated with common software you still use. It can literally replace internal email. "Still early days, but it's ticking lots of boxes so far"
I'm relatively new to using project management software. After investing a lot of time learning about Asana and trying to set it up to do what I wanted, I kept hitting road blocks because it couldn't do what I needed it to. When I discovered ClickUp I was so relieved to see that it addressed most of the issues I had with Asana. In particular I love the flexibility it offers, so no matter how big or small your organisation it is functional enough to suit everyone. Because I'm so new to using project management systems it has been a pretty steep learning curve, but that said, there are plenty of resources around which make learning the system straight forward. Google ClickUp on YouTube, there are some great videos out there of people who have set it up well. I learnt lots by seeing how other people set up their ClickUp structure. Recurring business processes have been streamlined thanks to the flexibility that ClickUp offers. In particular, I can now set recurring tasks that relate to a meeting that happens on the third Wednesday of the month. I couldn't do this with Asana. "Outperforms any other project management tool I've tried"
ClickUp is SO customizable. It's one of those tools where I'm downright amazed at how much value I get out of a free tool. I'm usually a great planner, but not so great at implementing. But ClickUp has cleared up so much brain space & made it easier for me to see an overview of everything I need & want to get done in the business, that I feel so empowered to not just plan, but take action on the plans. The UX is so pleasing to use that I'm finding it quite fun to work inside ClickUp. I honestly haven't found much to dislike. At first, I found the learning curve a bit steeper than other tools. I found it hard to wrap my head around how to replicate some of my projects from Asana inside ClickUp using the spaces, projects, lists structure that they use. But now that I've played around with it & understand it better, I love it. The only thing that I wish it did was let you customize the statuses of different lists. Instead, the statuses are customized at the project level. It's a minor inconvenience that I can work around. I would recommend being patient while you're learning to use ClickUp. It's worth sitting through the on-boarding / intro video to get an idea of how powerful the product is. Anything you get stuck on, there is probably already an answer to it in the help area. I've found it to be super comprehensive & saved me a lot of time. Honestly, the biggest benefit has been actually *using* a project management tool consistently. I felt like every other tool I tried fell short or required too many workarounds to make up for their flaws & so ongoing usage would be short-lived. Worse, I would feel annoyed every time I had to login & manage any projects. With ClickUp, I'm actually enjoying the level of oversight it gives me, the ability to do repetitive tasks & the user experience is fabulous. I feel so clear & focused with ClickUp. "Best project management tool for small development studio"
BONUS PLUS: The development team is currently working on implementing this because it was a highly requested (voted) feature. This will be available soon. My recommendation is that if you are skeptical about any missing features, check their feature requests section where users can vote on upcoming features. I have only been with ClickUp for a few months so far and they have already rolled out numerous request features since I have been with them. Check out the feature request section here, https://feedback.clickup.com/feature-requests. We use ClickUp for the following areas of our business (2-10 employees). "The Best Bang for the Buck"
I really like that ClickUP is aggressively competitive against so many much more expensive providers that seem to rest on name recognition, pretty colors and enforce all kinds of limits on text formatting, user management and project design, while lacking features like sub-tasks and re-orderable checklist. Clickup prevents repeated and wasteful "Where are we on X?" conversations and keeps all followup questions and clarifications in one place, so as to reduce confusion and scope creep. I wish that task and list names supported Markdown formatting. Call me spoiled from having markdown formatting within comments and descriptions but this could enhance context of each task and would be especially useful in development environments or in companies where different types of teams must work together or in sequence. You won't find a more flexible and feature-rich project/task management tool in this price range. We use Clickup to keep track of projects taking place at multiple levels of the company, ranging from Marketing to CRM Admin. I started my improving my productivity originally with GTD metod and looked for ways to implement it. I have since moved to RPM (robbins).None of the solutions either written planers or apps really worked for me from Evernote, OmniFocus, Opus one, ZohoCRM and Projects, Asana to Micrososft 360. This allows me to organize my entire life and move ideas and projects to implementation that energizes me and helps to take me out of overwhelm. It helps to chunk down even the largest projects into solvable tasks. It is so simple and flexible that it becomes useful for organizing my personal life as well. Originally, I disliked not having gant charts, but now that that is available. I struggle to find much else about it that is lacking. It would help to be able to use color better. If you are looking for a salable RPM solution, this is it. I am able to set up projects based on an outcome focused approach to moving my life and business in the direction I want to instead of the burden of all the "have to's" of any given day. "The King of Project Management Tool"
The ease of use and the visual viewport for task management! We are a team of pro designers and artists who rely heavily on visual task management, drag-and-drop functionality to sort out tasks and projects. After relentlessly searching for the right tool and wasting months on end, we settled with Click up! Nothing in particular, the team continually revises and fixes bugs. Thus far, our team hasn’t had any issues that we weren’t able to resolve. Plus, their support team is great! This is the perfect blend of Asana, Todoist, Monday.com, AirTable and Zoho - All in one! Also, everything can easily be customized and you can integrate with your favorite tools - like Google Calendar and Slack. Time tracking and project goals are biggie for us! We find that the goals provide us an overall view of how certain projects are the being handled and at what pace. In addition, task syncs up well with Google Calendar. "Versatile and robust tool to manage contracting projects"
The ability to customize your statuses and tags makes this app well worth using. With other apps we've tried, there was only one way to organize projects in a way that met our project management needs, and yet there were always flaws that made them less than desirable. With ClickUp, there are multiple ways for us to organize projects and labels, so we have the luxury of choosing which way best meets our needs as a contractor. Nothing. This is meeting our needs perfectly at this time. A more convenient way to upload a template that takes less steps. We needed to be able to input due dates for various projects and check-points along the way. We needed to be able to quickly switch between viewing individual projects and all projects at once. We also needed to be able to filter quickly field due dates vs. office due dates. ClickUp does all of this quickly and easily and allows you to view these in a list view or calendar view. Exactly what we were looking for. I like that we can toggle between list, board, and calendar view - perfect for a team that all works and processes information in different ways. I also love the keyboard shortcuts. I wish there were more color options (for projects where we have a lot of different parts). I also wish the calendar view would color-coordinate. If you're looking for a full-featured project management tool, this is it! Better features than some of the services that competitors charge for, and constantly adding new capabilities. Set aside a good hour our two to familiarize yourself with the interface when you start - you'll really get the benefit of so many great features that are available for power users. We use ClickUp to track all of our open projects (both for clients and internal) and schedule out work days and deliveries. It's helped us get a good view of the big picture so we can schedule work in ways that doesn't leave us slammed! I don't have to pay for more licenses than I need, which is one. It seems all other options have a free version for a single-user that doesn't provide the necessary features or a $50/month+ license for 5 users. I like being able to have separate spaces for each client that I can easily organize and share. The flexibility of everything is fantastic, too, and it's very affordable. Too many daily update emails, but I'm confident I can figure out how to turn that off. This is absolutely perfect for freelancers and others who work alone and don't need a lot of back-and-forth communication across a team. It's easy to share projects with clients without expecting them to learn a new system. I can also see how it would be highly functional for a larger team, though--you can easily tag people in comments, assign comments as tasks and even use the whole thing as a simple CRM tool. The pricing is extremely reasonable, and every interaction I've had with the ClickUp team has been really great. Managing multiple projects across multiple clients on my own. "The best project management software out there! " Where do I start? they really did their homework when they built Clickup. Is like pulling the data, complaints and likes of hundreds of hundreds of people and they just made everybody happy. It has so many features. the Spaces, the projects, the lists, the tasks, the ability to comment and assign comment. and add images and documents. the synchronization with other apps like harvest. NOTHING. I think the program is perfect. I am only waiting for a stronger upgrade on the timing features from within Click up in order to stop having to use harvest or everhour. but other than that, is perfect. I have been in project management for over 10 years and we manage over 20 clients at a time and each client with several projects and tasks at the same time. Click up is making our lives so much better in every way. tasks management. Project management. centralized communication per task and project. "Tried almost any available alternative : ClickUp is my favorite solution"
In my opinion, the interface is clean, it supports many settings including a very well integrated dark theme, the ability to filter tasks (and save filters) is quite useful, managing separate projects and sub-projects is a breeze as the hierarchical structure is fantastic, it has nice keyboard shortcuts, it supports a fully synced mobile version, it even has apps for different operating systems (including Linux!). The mobile app is a bit more limited in what it can achieve compared to the desktop version, but so far this hasn't been a problem for me. Some setup is easier done on the desktop version, but then everything is fully usable on both versions after the initial tweaking on the computer. For example, assigning tasks in bulk was much easier on the desktop and I couldn't see all my tasks in the "Time view" on the mobile app, so I ended up having to assign all tasks to myself on the desktop version, which was way faster to do as far as I can tell. Take the time to read through the tutorials available. There are plenty of features and it takes time to personalize the experience according to one's needs. I use ClickUp as a complete solution for task and project management for everything that's personal. When I get to work on a team, I will clearly consider ClickUp and promote its use but so far, I haven't had the chance to use the "team" version. For my personal use, it hasn't failed on me once. I usually pin a tab in the browser to have access to my main "Space" (where projects are listed) and will check back once in a while to make sure I'm heading in the right direction. To me, the most useful features have been the ability to filter the "List" view and combine tasks by both priority and due date, but I must admit that it is very useful to be able to switch to other views ("Time" and "Board") to have a different representation of your workflow. "If it's not in ClickUp, it's not a thing!" I really like that ClickUp encourages our teams to keep track of their time to make sure no time is wasted and we are charging our clients the correct fees. The app is super helpful and the programme is intuitive to what it is that you want to do. I love that it is so easy to set things up and keep a track on daily tasks. It's great to see how much capacity other team members have too! I dislike the fact that there are more perks to integrating with Gmail rather than Outlook - our team uses Outlook so it would be super useful if we could get everything out of it that you can with Gmail. ClickUp has allowed us to have a central place where we can track processes of how things should be done. We think it is a brilliant training tool and great for covering others to make sure everything gets done when team members are on holiday. The ClickUp team are great and create really handy instructional videos for us when we need help with any issues we face. "ClickUp is Asana With The Missing Features I've Been Hoping For"
I was using Asana which was working pretty well for my business, but some of the features of ClickUp that I was missing from Asana encouraged me to switch. I love that you can set dependencies, tasks have a start and end date, Gantt charts, and their recurring task functionality is the best I've seen. The layout and hierarchy of ClickUp can take some getting used to, especially if you're coming from Asana. I have multiple businesses and clients but don't necessarily need separate teams so I had to get a little creative to figure out an organization and hierarchy that worked for me and for my businesses. Don't set up your workspaces how you feel they're supposed to be set up. Get familiar with how ClickUp works and how other people have their workspaces organized, then figure out how to best organize it for your purposes. ClickUp helps me to stay organized and focused on what I need to accomplish for each of my businesses every day. Their recurring tasks have been a huge timesaver for me for those small things that often are forgotten because they don't need to be completed very often. As long as it gets in ClickUp, I know it won't fall off my radar. As a web designer, I value the UI and the design of the apps I use A LOT. ClickUp doesn't disappoint on this. Amazing UI, great look and supppppper powerful. I love how everything is customizable. I tried a couple similar apps before but never fully committed to them because there was always something missing or was too expensive for my budget. ClickUp is quite amazing and also free, which I still don't understand why... haha. I wouldn't say dislike, but there is quite a learning curve at the beginning. I did a lot of try/error in order to find the best setup for my needs. Once you understand how the hierarchy works, you're set. I just wished the Zapier integration would read the custom fields. Better organization and better workflow. I have tons of project to manage at the same time and ClickUp helps me focusing on the one that needs to be delivered soon. I also use it as a kind of Sales CRM which is quite nice. Multiple levels of use. I can manage projects on a much higher level with ClickUp! I also love the multiple views. This way I can see the project and client work from different angles. I wish it was just a bit more intuitive and that there were more, easier to find, training when getting started. I'm sure I'm not using the full capability and would love to really know how it all works inside and out. ClickUp is the project management systems I would have built if I had the ability. It handles multiple projects and the many intricacies within them. It's easy to see everything that's going on in multiple views giving a complete overall understanding of the work to be done. With two businesses of my own, many outsourcers, and multiple clients, it's an excellent solution for my agency. I'm looking forward the amazing additions they are working on. Thanks for the awesome platform! I'm a user for life! I have two businesses and a non-profit. I also manage multiple clients business and projects. ClickUp is a great option for managing all of it in one place. 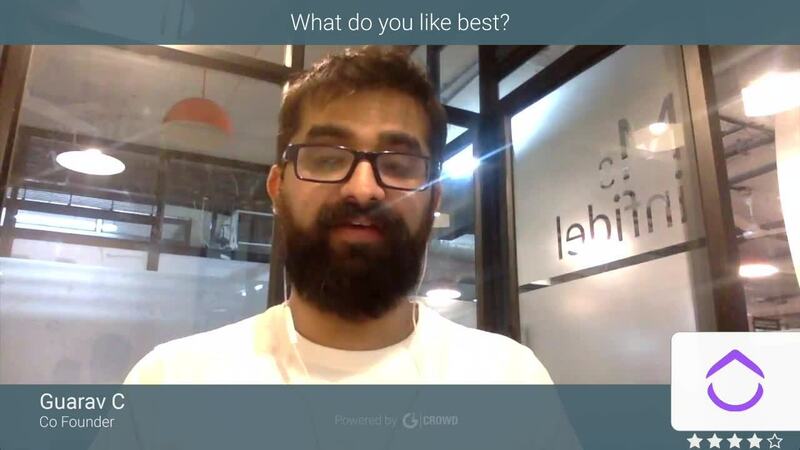 "I recommend ClickUp - it's evolving at an amazingly fast pace"
I love the open community aspect, where you can see exactly what features the clickup team are currently working on and you can vote on which features they should work on next. Currently it's a little difficult to visualise your day if you have lots of projects of spaces open but the upcoming 'Inbox' feature in February (any day now) should hopefully resolve this issue. I'd also LOVE if they had the ability to create recurring tasks and projects and other such things like this but features like this get added all the time so I won't be surprised if in a few months everything I wish for is there. Oh I'd also love the ability to add 'items' that are not 'tasks' such as contacts, and files etc. Just because I love clickup so much I want to store all my information in it! Working on my own projects, also working on my team and even having clients be guests and be able to view what's currently going on in a project is pretty cool. Everything seems to fit, I had a good feeling about this tool right from the start and once I explored it a bit, I was sure it's the right one. After that, the updates kept coming and I discovered new ways to use it and it just seems like these guys are fiery about their project. Keep up the good work! I'm not really sure, Click Up seems better in pretty much all respect compared to other such services I tried. Having come from Jira, it seems like the task entry window itself is a bit light, but as long as it serves that's a good thing. I didn't like Jira..
Maybe I'd like some greater text formatting in tasks. Asides for the software project I'm developing, I'm also using ClickUp as a life management tool of sorts. ClickUp has a rich feature set and is incredibly flexible. They also have some unique features that separate it from other platforms, like Goals, the task tray, and granular occurrence settings. They come out with new features, improvements, and bug fixes all the time. ClickUp offers the perfect solution for managing your own tasks and the tasks of your team by adding the ability to easily switch between either view. The UI is a bit cluttered and some the interface lacks some polish. Performance could also be improved but they seem to be working on that. The Android app could use some attention and is pretty limited/cluttered. The text is tiny. Since using ClickUp we have created more transparency in the marketing department and less has slipped through the cracks. Collaborating has become more effective and ClickUp has molded almost perfectly to our needs albeit with a little learning curve. "Great PMS for those needing a more streamlined and feature rich system"
I love how many pro features ClickUp offers that systems like Asana or Trello make you pay for (or don't even offer at all). I've loved being able to have a notepad that I can write things down on without needing them to be tied to a task - and the fact that they just added the ability to turn them into tasks is perfect! It's a bit of a learning curve for someone coming from Asana or Trello which has made it hard to get my clients transferred over. The upload amount is a bit low for me, I get the reasoning behind having it low on the free plan, but it's still a bit low for my needs. As a project manager I need to keep a strong pulse on not only my own projects, but my clients projects, and with ClickUp I can not only see things that are for me to do, but I can straight up see what tasks my clients are assigned to do. This makes my life so much easier because now I don't need to search through all of the tasks to find the ones they're assigned. "ClickUp is the new up-and-comer in project management!" The versatility of this tool is incredible. Since I joined, they've rolled out two huge new features: guest accounts and gannt charts. These were two features that weren't available (or at least, not for a reasonable price tag for a one-person operation) in the project management tool I was using before. When the guest management feature was rolled out, several of us users had some concerns about the ability to implement it the way we needed to. The ClickUp team quickly responded to the feedback we voiced and made changes that made the feature even more useful for us as users and which I think sets them far ahead of their competition in terms of value. Because of the features and the team's responsiveness, I'm now a loyal ClickUp user! The only issues I've really had were when the time tracking extension in Chrome started acting up on me and tracking the wrong tasks. The ClickUp support team looked into it and fixed it, though, so I don't know if that really counts. I'm honestly struggling to find things that I genuinely don't like about ClickUp. Usually if there's an issue, the team fixes it or if it's a feature request, it goes into the roadmap for users to vote on and be implemented. Give it a try. The free accounts are a great way to see if it's worth upgrading to a paid account (the limitations are minor). ClickUp combines my favorite things about Asana and Trello and adds something that both lack: Gannt charts! I use ClickUp for both business and personal project and task management because it's so versatile. It's made it so much easier to plan my business projects and stay on top of them. Because of the gannt charts in ClickUp, I've even gotten an entire week ahead on this year's projects and we're only a week into the year! "Task Categorization, Collaboration and Reporting"
It has a very nice visual appeal and makes it using on a daily basis a pleasing experience. You can customize the color theme as per your preference. I also love the mobile app and often use it while i am commuting to/from work. That helps me utilize my commute time. Also, mobile app is pretty slick and comes really handy. It needs to work a bit more on adding project templates. I often end up selecting some other template and customize it for my project need. If you are going to use it for a large project and big team size, you should consider their cloud pricing model. We are using Clickup on daily basis to assign tasks to team members, manage our own tasks and track the progress till closure. We also use it for our weekly status reporting. * We monitor all ClickUp reviews to prevent fraudulent reviews and keep review quality high. We do not post reviews by company employees or direct competitors. Validated reviews require the user to submit a screenshot of the product containing their user ID, in order to verify a user is an actual user of the product. Hi there! Are you looking to implement a solution like ClickUp?